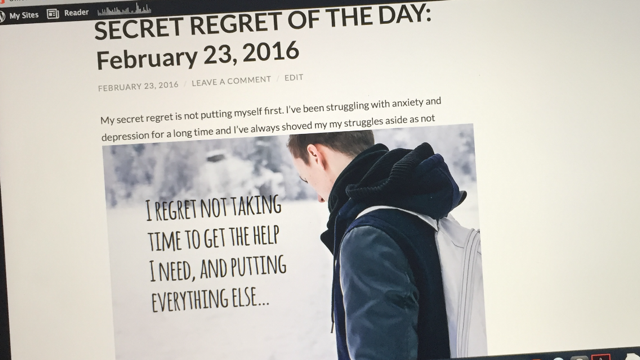 Bring the Secret Regrets LIVE Presentation to You! Thousands of people have already experienced Kevin Hansen’s Secret Regrets LIVE Presentation — and now you can too! Learn how to bring Kevin and his dynamic, life-changing presentation to your college, community, conference, event or group by e-mailing Kevin@SecretRegrets.com. Learn how the Secret Regrets project started, and how it grew into an international phenomenon touching millions of people worldwide. Hear the most shocking and incredible — yet hopeful and inspiring — Secret Regrets ever. See how this global support community of strangers helping strangers though the roughest times of their lives h as changed lives — and even saved lives. Hear audience members’ regrets when they are given a chance to anonymously share their Secret Regrets during the presentation. Discover how to find healing in revealing and reclaim your life by leaving your regrets where they belong — in the past. Meet and greet session after the presentation with Kevin Hansen, including a book signing session. Jacinda Legons, Coordinator of Student Life and Leadership at Florida State College, explain s how Kevin Hansen’s Secret Regrets program really connected with FSC students, and highly recommend Hansen’s program for campuses, organizations, and people everywhere. “The student response was incredible.” Dr. Linda Becker, Vice President for Student Affairs at Uni on College in Lincoln, Nebraska, explains how Kevin Hansen’s Secret Regrets program helped students deal with major life issues. She highly recommends this program for other colleges or events. Learn more about bringing Kevin Hansen’s Secret Regrets LIVE Presentation to your college, community, conference, event or group by emailing Kevin@SecretRegrets.com. Having Dr. Phil dedicate an entire episode to the Secret Regrets book and project was the last thing that author Kevin Hansen ever expected to happen when he created his http://www.SecretRegrets.com blog. But that’s exactly what happened soon after “Secret Regrets: What if you had a Second Chance?” was published. Hansen’s blog turned book is a collection of anonymous regrets never voiced until revealed at www.SecretRegrets.com. The bestselling book has received international media coverage with The Huffington Post, AOL.com, PsychologyToday.com and many more media outlets. The Secret Regrets project touched millions of people after being featured on the Dr. Phil show, where two SecretRegrets.com contributors gave up their anonymous status to reveal their regrets on national television. The Secret Regrets book originated from a blog that asked one simple question: What is the biggest regret of your life? As people began posting on the site, Hansen witnessed something amazing happening; there began an outpouring of unconditional support, compassion and empathy that surfaced in the form of comments and feedback left for the original posters of the regrets. The site provided a safe space for people to reveal their secrets and begin the healing process. Hansen repeatedly observed how the Secret Regrets project was not only changing people’s lives – it actually began saving lives. Hansen has compiled the most shocking and jaw-dropping regrets in his book Secret Regrets: What if you had a Second Chance? Hansen’s second book, Secret Regrets: Moving Past Your Past, continues to share how people worldwide have learned they are not defined by their regrets and mistakes in life — and shows how they can truly live a regret-free life. 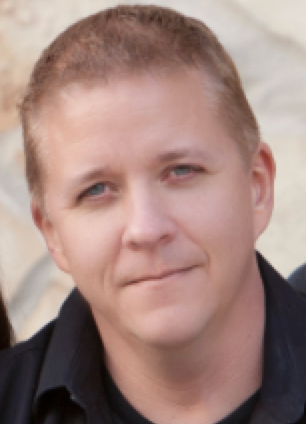 Hansen is a featured writer/blogger for The Huffington Post, and has been a featured speaker at conferences and universities, telling the stories of the regrets revealed to him and his journey with the project. His project reminds people of the power of healing that lies in revealing and that no matter what they are going through, they are not alone.